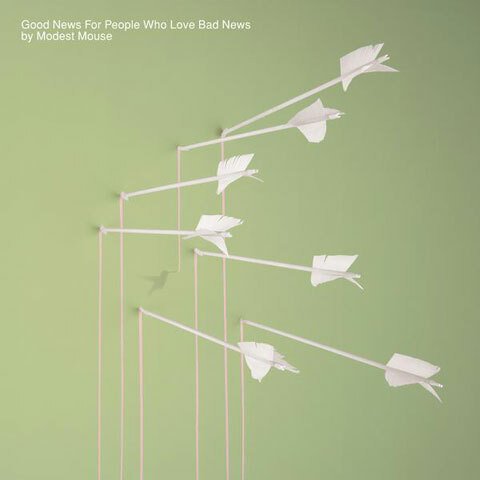 Good News is the album that really got me into Modest Mouse. I had been a casual fan for years, due to my good friend Audrey being a big fan while we were in college. I heard their music all the time and even saw them play a show at the Great American Music Hall. I owned a couple of albums, but I didn’t know deep in my bones what total badasses they are. When Good News came out, Audrey and I had mostly drifted apart as friends, so I hadn’t been to Modest-Mouse-land for a while. Hearing songs like Float On and Ocean Breathes Salty made me want to go back and review all their prior albums and that’s when I suddenly realized how classic they are. I’ve since fallen madly in love with all their early work, and I can’t imagine my musical life without them. Thanks, Good News! I admit, I had never heard music by Modest Mouse till “Float On” – a song I still hate to this day. However, a pal made me a mix CD that kicked off with Bukowski (one of my heroes) and I jumped on the MM bandwagon. I went on to more or less buy the entire collection and have seen them live 5 times. Great band.